1. 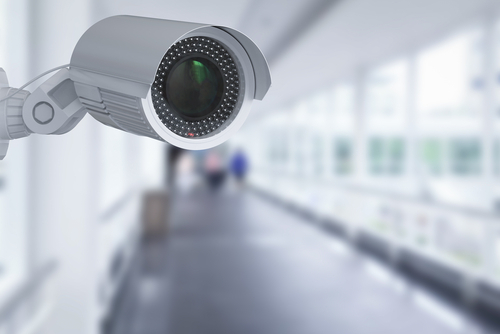 Choose your CCTV Systems wisely. Believe it or not, not all CCTV cameras are the same. Some are designed for more specific purposes compared to others. For example, a CCTV that is exposed is most likely weather-proof and can withstand heavy rains. Similarly, if you want to monitor during night time, you might need a camera with infrared capabilities. So before you choose what is suitable for you, consult experts first or read reviews. 2. Settle for the trusted brands. As mentioned, there are several kinds of CCTV. This only means that there are also various brands you can choose from. When buying your camera, make sure that the brand that you are going to settle for is trustworthy. Some brands offer cheaper costs yet they are not as durable. While others offer more expensive options but it does not also ensure quality. Be careful in scrutinizing your purchase so that you will get your money’s worth. 3. Be particular with the specs. This might be an area that is too technical for some but this is very important. Know which specifications in the camera you need to check. For example, if you are choosing between two HD camera brands with the same value, choose the one with 1080p rather than 720p. If you are not familiar with any of the specs, it would not hurt to consult the store you are buying from. 4. If you can, hire a company. While a lot of the cameras in the market are Do-It-Yourself, if it is within your budget, hire a company that will install your CCTV for you. These companies do an assessment of your needs and they check which CCTV systems are appropriate for you. They also often guide you on which areas are the best places to install, they make sure that the electrical wiring is done right, and they also provide maintenance. 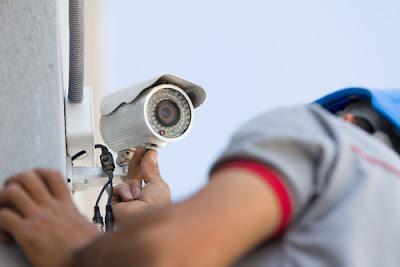 In addition, should you decide to install the CCTV yourself, make sure that you follow the instructions because some of the cameras require some electrical know-how. If you are afraid to take the risk and do not want to spend extra for a CCTV company, the least you can do is hire an electrician. 5. Secure the necessary permits. Generally speaking, if you intend to install the CCTV in your own home or a private establishment, you do not need a permit. However, there are certain rules that need to be followed. For example, even if your CCTV camera is on your property if it is directed towards a public area or in another man’s home, then you need to obtain a permit or else you will be liable for violating the privacy of others. To be sure, consult your government laws. 6. Choose the appropriate area to install CCTV. 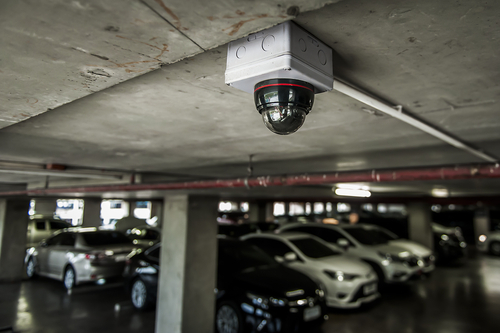 Besides the legal restrictions, it is important to choose the appropriate area to install your CCTV in order to maximize what you are paying for. For example, 180-degree cameras are better installed in the corner while those with 360-degree capabilities are better in the middle. This will ensure that your camera will cover the most area. One important reminder: never install CCTV cameras in private areas such as toilets, dressing rooms, and shower room if you do not want legal actions filed against you. 7. Inform the people concerned that they are being monitored. When installing a CCTV, it is important to inform the people who are regularly in that area that a CCTV is monitoring them. This is to ensure that their privacy rights are not violated. For example, if you install CCTV cameras in a restaurant that you own, you can place labels that the place is under surveillance of a CCTV camera. Similarly, if you have obtained a permit to install a camera directed towards the house of a neighbor, you should definitely inform them. This will avoid serious legal actions. 8. Be updated with CCTV technologies. CCTV technologies are constantly evolving. In order to optimize safety in your homes and establishments, make sure that you are updated with the technologies in order to ensure maximum protection and comfort. For example, Wi-Fi cameras are already available in order for you to monitor your home from your smartphones and other mobile gadgets. 9. Always review and keep a backup of your CCTV footage. A CCTV camera is useless if the owner does not constantly review footage and keep a backup. Doing this will ensure that you have proper evidence especially when a mischief happens. Most CCTV cameras have limited storage so what it does is it erases the old memory in order to store new ones. If you were not able to back it up, chances are you will not be able to recover it again. 10. Hide your monitoring area. A lot of times, CCTV systems become useless especially when burglars spot the monitoring area and destroy the CCTV and its footage. It is important that you hide your monitoring area and keep it locked because this will ensure that after the mischief, you still have the evidence that you need. It is important to check the warranty of your CCTV cameras. Some brands offer 1-year, others offer 3 years, and a few offer lifetime warranty. This will make sure that you are getting the most out of your money. These companies will not guarantee their products if they do not believe in it. It is always best to settle for a brand that offers the longest warranty because you know it is durable and if worse comes to worst, you don’t have to spend extra bucks in order to get it repaired. Installing a CCTV is a huge and important step especially when ensuring the safety of your loved ones and the people you cater to. While it may be pricey, it will definitely be compensated by the comfort of knowing that you, your family, and your customers are safer from the adversities this world has to offer.